Handel is for Baby to Pre-K. Handel was written by Percy M Young. Handel was published by J M Dent & Sons Ltd. 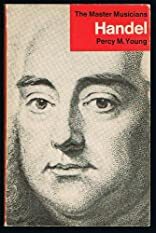 Subjects of Handel include 1685-1759, Baby books, Children: Babies & Toddlers, General, Handel, George Frideric, Handel, George Frideric,, Juvenile literature, Juvenile Nonfiction, Juvenile Nonfiction / Biography & Autobiography / General, Music, and Music & Dance. About Percy M Young (Author) : Percy M Young is a published author. Some of the published credits of Percy M Young include Handel, Mozart (Great Lives), Stravinsky.